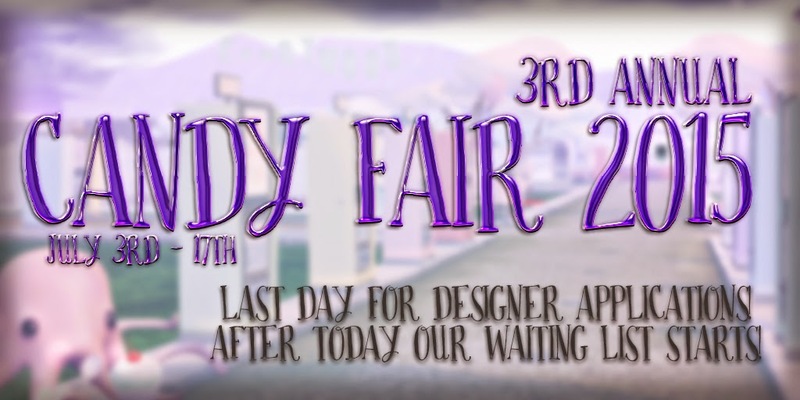 Last Day For Candy Fair 2015 Designer Applications! Today is the last day to get in Candy Fair 2015 designer applications! They close at 11:59pm slt. The actual applications will stay open now till close to the fair opening but only for waiting list after today. So if you'd like the chance to be in the fair get your applications in today they have been open since February 8th!